I am a published author. (dream come true) I am a total sap who loves too easily and forgives too quickly. Above all things...I am me...and I like me. There have been times that I have wished others could occupy my mind for just a day so they could understand me. Maybe they would understand why I say, “What?” but then immediately answer their question. There is so much going on and I am always processing…the timing between thought and speech is often out of sync. I retain all…some of it is just stored in boxes and tucked deep deeeeeep away, but I know where that box is. My mind is nothing short of organized chaos. Its hard to explain to others how I can go in so many directions with my thoughts, and still end up at the beginning. I am not simply hearing you in that moment, I am feeling that song, reading that person, solving that problem all at once. I go into sensory overload and my mind is in a constant race. Very few have the gift to keep up with it…including me at times. I am forever creating, analysing, observing, testing with my thoughts. I don’t have a happy medium. I had a friend once tell me, “You go for broke or you sit still.” And its 100% true. For the longest time I thought the way my brain worked made me weird. Now, I am an advocate for weird and different. I am a self-professed weirdo. I’m proud of it, but sometimes feel it would be easier if I wasn’t so different and if my thoughts could be a little bit more normal. It got me thinking, how many others feel this way about themselves? Do they shelve their passions because they feel others won’t understand? Do they bite their lip and not speak their feelings because it goes against the popular ideals? Do they hide their faith because that faith could be perceived as weakness? And do they lose out on love, friendship, and connection because they feel unworthy? I have been guilty of every one of those things. And as I wrote each thought, I pictured the instance in my life where I did just that, and I wish I could go back to change it. I missed out or denied my own convictions because I felt I would not be understood. Isn’t that one of the most coveted things in life? To be understood? To connect with people who feel us and who truly see us? The problem is…we try to change ourselves so much that that will never happen. We end up not even knowing ourselves after all the filtering. We can’t all be the same. Someone will always be misunderstood. We have to be true to ourselves and dare to be different. The strength you have in you, someone else needs. The argument you have with another will cause a spark. It will create an idea. It will be a catalyst to something because iron sharpens iron. Our differences are what cause great things to happen. If we were all the same there would never be a need to strive. We would all just be. Everything would lie stagnant…and how boring would that be? We need that person who sparks our passion. We need that argument that causes us to search for the truth. My introverted mind needs those extroverts to keep me from living in my own world…to bring me back to reality now and then. Those extroverts need me too…to remind them that its okay to dream and to take moments to experience their own world…not just our shared one. So, getting back to my initial thought (I just chased my proverbial tail…I know) I guess its okay to not always be understood. My weird is needed. Just because my brain won’t shut up about it…I must muse…. I mutter the phrase, “I don’t care” to myself all the time. Like I don’t care what others think, or I don’t care if they get me all wrong. I want people to know me, but I don’t. So I let them think they do, but it sometimes bothers me to no end. I am not Sunshine because of privilege or out of what life has given me. I am Sunshine because I choose to be. And it’s hard at times, let me tell you, but I earned my sunshine. I’m living a rather contended life right now. I want more…desire more…have big dreams, but still…content. I have a roof over my head. I have food to eat. I have clothes to wear. I have electricity and hot water. I have cool AC in the summer and running heat in the winter. These things make me crazily happy because…I didn’t always have them. So, here is where introverted, self preserving, sunshine and rainbows Sarah shows a bit of herself. I think its important to be open sometimes and its cathartic for me. My words are my therapy. I’m not about to spill all the ugly, but I still want to be real. Even at this moment I feel anxious to write this down. Its like, you put up this version of yourself that you know people will love and if they see the other they may not. I don’t want to admit my life was ever anything but good because that is a part of my life I don’t like to revisit. BUT it is what made me who I am. You know that first impression you get from someone just based on your initial encounter? So many people think they know someone, but they don’t. The sweet happy person could be miserable. The gruff snarky person could have a heart of gold. The confident outgoing person could be utterly insecure. I’ve had friends that had their initial impression of me totally change once I let them in. Initial reactions? Truth? None of these things are true. As a child, there were nights I went to bed hungry. There were days I didn’t want to leave school because it felt so much safer and warmer there than home. I lived in neighborhoods where our house was broken into all the time. (don’t know what they wanted…we had nothing) I would run to the corner store for milk, only to find it being busted by the police…again. I walked to school on dangerous roads…being verbally accosted every day. I’ve been without a home. I have suffered and survived abuse. (mentally, verbally, physically) I have been on the precipice of giving up, but I never did. There has always been that sunshine in me. Despite all the circumstances, I never let what was happening to me touch that part of me. I had people in my life at each moment that moved me through it. I had my faith. I had and still have this unrealistic, fairytale, happy ending, belief in me that everything has a bit of good: people, circumstances, trials. Good can come out of anything. I will not give those deep dark details to the above happenings in my life, but I will say this; I should be broken. I should be jaded. I should be lost and unhappy, but I’m not. What I went through made me kinder, stronger, more empathetic. It made me appreciate the life I have now. It allows me to find beauty in others. It gave me the ability to recognize when someone is going through something without them saying a word. Yeah, I went through hell, but I would not have the gifts I have now if I hadn’t. So much good ahead of me. Maybe some bad, too, but its okay. I earned my sunshine long ago. It ain’t going anywhere. I am in a completely cheesy romantic mood. So, I chose a favorite of mine to write about. It is no secret to anyone how much I love Pride and Prejudice. And, yes, it is for the most obvious of reasons…Mr. Darcy. *ahem* Fitzwilliam. And it is no secret that I want a Mr. Darcy of my own. What woman doesn’t? As obvious as it is that I love him…the reasons might be quite different than one would think. I will explain. Most see Darcy as a dashing, handsome, tall, rich gentleman who loves beyond reason and sacrifices all in the pursuit of love. Darcy is a Knight in shining armor. He is truly all these things. Yet, this is not why I love him. His perfections are glorified, but it has always been his imperfections that I loved, and his ability to see the imperfections in Lizzy and love her because of them. I loved the fact that he seemed so unobtainable. Truth was, he was smitten. He was scared. He was unsure. He felt unworthy. He stumbled over himself. He made bad decisions. He didn’t speak his heart…at first. He was flawed. But that is what made him wonderful. It is what made him real and that unobtainable man became someone a woman could love. We women are often misunderstood because we romanticize things. Yes,we love love. We want to be swept off of our feet. We want to be desired and wooed. The misunderstanding comes in the way we need this to happen. Simplicity is everything…at least with me. A sweet act, no matter how small will go a long way. An intimate glance will have me wrecked in seconds. It does not take much. As long as there is a connection…an attraction, everything else is amplified. I don’t want a perfect Mr. Darcy. I want a flawed Fitzwilliam. I don’t want a man with a title or riches. I want a man with a heart and strong arms. I don’t need a man that can show me the world. I need a man that will show me his soul. S.I.M.P.L.E. I used to build in my head the man I thought I would need, but the older I get the more I realize that; the less expectations you put on people, the clearer you can see them. Yes, I want a Mr. Darcy. Not Elizabeth Bennet’s Darcy, but my own. My heart is in my writing…always has been. When I am happy, it can be a masterpiece and when I am mad…a super storm! I want to use my “powers” for good…I really do! So, the other day, I was mad…really mad…atom bomb Sarah mad. It takes a lot to get me there with most people, or very little to get me there with others. It is all in the way I care for or respect you. When I am mad, I write. (I also write when I’m happy, sad, indifferent, curious, tired, hyper…but that’s not helping make my point) Usually my mad writing stays secret. It is for me only. It is my therapy. We have to be so careful with the words we use. They can tear a person down or build a person up. But we can’t depend on words or even actions in others. We are all built differently. 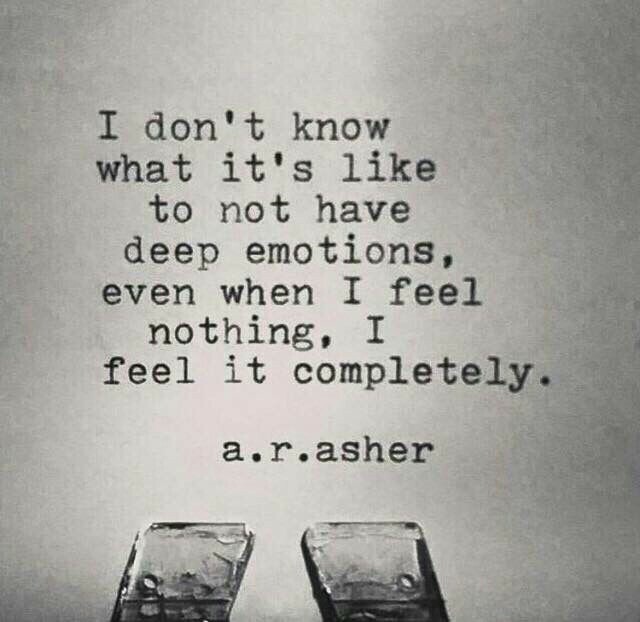 We all have our ways of showing emotion. Some of us move in anger and others move in gentleness. Some of us hit the gym and others immerse themselves in a book, game, movie, or song to cope. Feelings come and go…they shift…they grow in strength, or fade. We can’t let the circumstances of a day, week, or month affect us to the point that we do something or say something in that moment that we regret. We can’t scar others because we’ve been scarred. We, instead, need to try to understand each other. Ask ourselves, why did they do that? And not take blame, but ask ourselves, what part did I play in this? As a writer, I need to be even more careful. I have the freedom to publish, post, rant whatever I want. But those who know me, know my heart. I will go out of my way to not hurt a person…even at the expense of my own feelings. It’s not weakness. It’s strength that allows me this. It’s easier to give into anger, emotion, or hurt than it is to remain soft, bite your tongue, and still love. But I am not perfect. I fail miserably sometimes. I most definitely have my moments. I’m a work in progress. To that person that drove me to angry blog? I care more than I am allowed to say, but hurting you is the last thing I will allow myself to do. No lies…truth. Deep down I have this unwavering belief that all people are good, or have some good in them. I will search, and scratch, and dig, and pull, and climb, and search some more until I find it. If you end up on my “NO” list…heaven help you. But despite that optimistic view, after finding the good, and reaffirming that unwavering belief of mine, I do have a weakness. Even if you are good…can I trust you? I don’t mean with secrets or belongings; can I trust you with…me? To the untrained eye, I am a bubbly, sunshiney, optimistic, happy lady. I seem open and caring and a bit naive. If you see her, its because that is EXACTLY what I want you to see. And I’m good at being her. That side of me is very real, but it is only a facet. There is much more to me, so much more. If I show you the unlovely…if I allow you to read the trouble behind my smile, the sad behind my kind eyes, or the hurt behind the softness of my voice…you are very special. I am VERY good at hiding those. If I show you my strange, my goofy, my chaos…you are even more special. If you let me show it, you do not judge, and you even appreciate it, you have a friend. I will have your six. I will bend over backwards for you because you see it all…the good and the bad, and you still want to be around me. And if you approve of my chaotic qualities, it means you must have them, too, and I need people in my life that understand me. You have earned my trust…for now. And there is where I am always tested. This is where I have been hurt…my heart wounded. I have given people the gift of my trust and it was not accepted as a gift. I think this pertains to not just loves but friends as well. I make acquaintances easily. I can even become your buddy to a point, but for me to honestly call you a friend and reveal parts of me no one else sees…that takes my heart. And after I have done that? The hardest part for me is when circumstances shift or the hint of rejection appears… I shut down completely…I block that person out, even when it is KILLING me. I’m not just hurting me…I end up hurting them, too. And guess what that does to my heart? I will go out of my way to not hurt people with my words, but my actions can be even worse. I miss out because my fear and insecurity takes command and I can ultimately lose people who really do deserve a place in my life on the off chance that they may or may not hurt me. Maybe one day I will be able to take it. There are a few lessons I have learned being a single woman for the last year or so. Today would have been my 10th anniversary. So, I of course I weighed the pros and cons of my last year “alone”. I am one of the lucky ones…my divorce was quiet and I was able to remain amicable with the ex. Maybe thats why today was kind of heavy for me. There were no evil litigious thoughts aimed toward him to “get me through”. Instead, there were happy memories and just a general heart search. He was and still is a good man…we simply fell apart and did the wise thing of parting before we absolutely hated one another. And there are details that I will never reveal that brought us to that decision. We still respect one another and he will always have a place in my life. Point 1. I am stronger than I thought I could ever be on my own. Point 3. I love being single! Everyone thinks that it is “so sad” when someone “loses” a mate and that that void must be filled. NOT TRUE. I honestly am not looking for a set up. And available men need not feel the pressure to swoop in. All that being said…I am a woman who loves love. I will eventually get over the need to be independently single and want to have someone to go through this life with. I have never been one to trust easily, so he will have to be one heck of a guy. I am very particular in where I lay that trust, and, I am sorry, but men are so hard to read these days. I want a love that is not ordinary. I want something I have to work for. I want someone who will appreciate the difference that I bring to the table. I am not a simple/basic woman. I am a hopeless romantic…but the romantic side of me is on hold, so…to be continued. What Do You Want Them To See? I haven’t mused in awhile, and this has been a “meh” day for me…so I am going to ramble a bit. Okay? Okay. I love the differences that make a person who they are. I believe it is the imperfections that make a person beautiful. Don’t get me wrong…I can totally appreciate physical beauty, but without substance? All of that falls away. I struggled for years with feeling I was inadequate because of what I saw in the mirror. For the longest time I tore myself down. I heard people tell me that I was sweet, kind, happy, strong, quirky, a tough lady…but none of it mattered. I wanted to be called beautiful. What I didn’t realize was that…they WERE calling me beautiful!! The things that were good, different, and unique about me made me ME. They are things that I now love about myself. Do I still struggle? ABSOLUTELY. Don’t we all? We all have that need to be called pretty, handsome…wanted. And you know what? We are that to someone. There is someone out there that looks at you as if you are the most stunning creature they have ever seen! They look beyond the physical imperfections you see in yourself and see just YOU. They see your strength. They see your struggle. Maybe you lived a rough life up to this point; they see you trying. They see beyond the mask because that is what we do when we love someone. We see all that the world has thrown at you and yet you are still here. Life shaped you and you survived. What is not beautiful about a survivor? I heard this song today for the first time and then for another dozen or so times because it touched me. Around the third listen, I wiped away tears and said, “That is what I want someone to see in me.” Listen, and you will notice that he does not mention her beauty, her hair, her body. What does he mention? Her heart, her soul, her imperfections. Love who you are even if you struggle and fail at it each and every day. Be unapologetically you. That is what you should want them to see. “She loves like a woman. She looks like a lady. She laughs like a child and she cries like a baby.” <—-THIS.